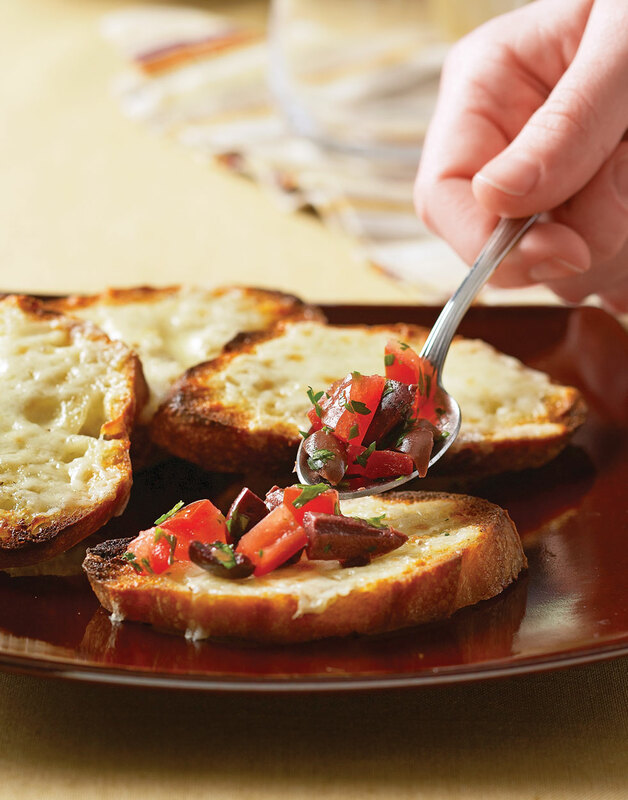 Bring bruschetta to a new level of flavor by incorporating olives. Olives allow for a deeper flavor profile while the tomatoes contrast the olives with their subtle sweetness. Preheat broiler to high with rack 6 inches from the element. Combine tomatoes, olives, parsley in a small bowl. Season with salt and pepper. Arrange baguette slices on a baking sheet, drizzle with oil, and broil until toasted on 1 side, about 2 minutes. Turn over, top each round with 1 Tbsp. cheese, and broil until cheese melts and begins to brown. Top with tomato mixture before serving.